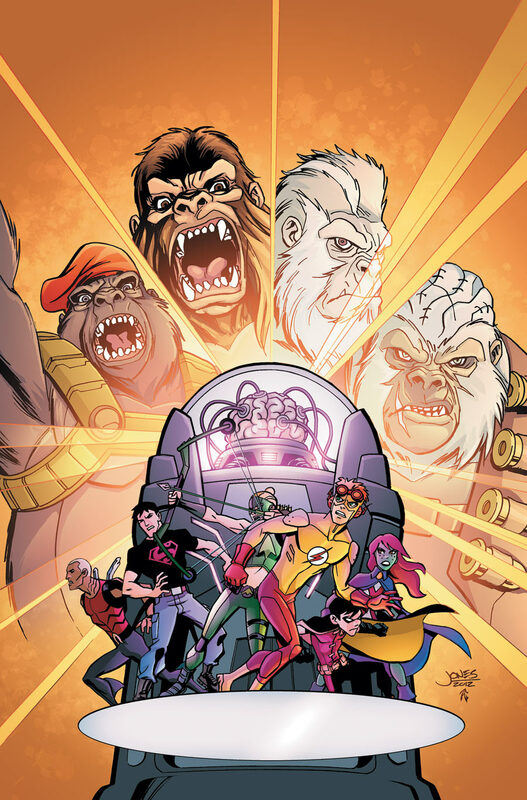 Christopher Jones Comic Art and Illustration Blog » The Gorillas are Coming! When you see a solicitation for an upcoming issue of Young Justice, you’re getting a peek into my future. Well, you might guess from the cover that the “someone” is The Brain and Monsieur Mallah. Oh, and that’s the Ultra-Humanite in there, too! Don’t miss the origin of Grodd, Solivar and Gorilla City! Issues #1-14 are currently available and #15 is out later this month! Pick an issue up in digital form or at your local comic shop!